Built in 1883, The Winsome Grace is an exquisitely restored Victorian Gothic Chapel, near Sumner's Historic Main Street. We offer our auditorium, buffet room, Bride’s dressing room, Bridal Suite, Groom’s dressing room, hot tub/sauna room, and five bathrooms. Our elegant venue is suitable for all types of events! 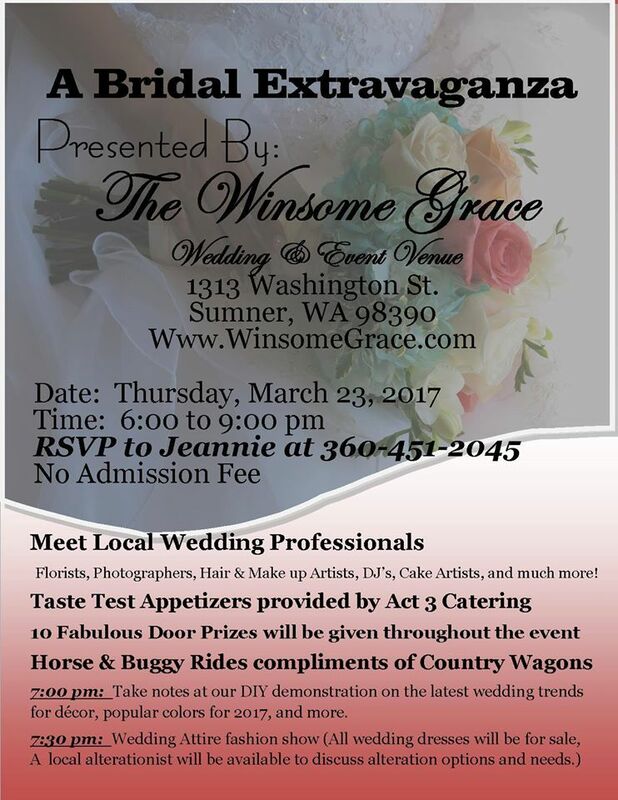 A Bridal Extravaganza at the Winsome Grace!